Oil Prices Rebound Above $30. Is A Rally Finally Here? 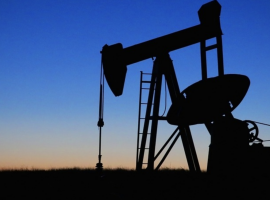 Oil prices plumbed new lows this week, dropping below $28 per barrel. But oil also closed out the week on a positive note, with huge gains on Thursday and Friday, rallying back above $30 per barrel. The price increase could be a sign that the markets think that oil has been far oversold, that trading this low has been “irrational,” as the head of Saudi Aramco put it this week. Adding to the upsurge was growing speculation that central banks around the world will take additional action to provide some monetary stimulus amid worrying signs of faltering growth. EU central bank chief Mario Draghi provided the clearest indication yet that his institution may act as soon as March. It’s a little premature to say a rally is on, but oil prices are going to have to rise at some point with so much production currently underwater. CMC Markets, a UK-based trader, says that $34 is the next resistance point for oil, from a technical perspective. If oil can break above $34 per barrel, then the rally could have some momentum. At the World Economic Forum in Davos, Nigeria’s oil minister Emmanuel Kachikwu said that he expects oil to rise to $40 by the end of the year. 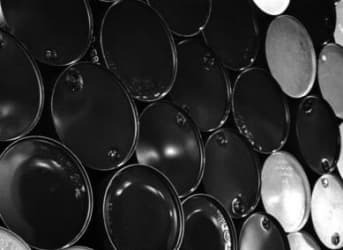 Oil prices could get worse in the short-term, but “the second half of this year holds more promise,” he said. Speaking of Iran – Iran plans on shipping crude oil to the EU as early as February, according to the WSJ. One Iranian official said that a shipment of 1 million barrels could go to a port in the Mediterranean next month, the first shipment in several years to the EU. Iran’s oil ministry says it will ramp up 500,000 barrels per day in production almost immediately, and “most of that oil will go to Europe,” an official told the WSJ. Venezuela is probably the single worst-off oil-producing country right now, with an economy in crisis and foreign exchange rapidly running low. The state-owned PDVSA says that it was able to reduce its debt load by $2 billion in 2015. But that only slightly addressed the $46.2 billion that the company had in debt as of 2014. At the same time, the Venezuelan government has $120 billion in debt, and although it has not yet missed a bond payment, worries are rising about its ability to meet its obligations. Oil accounts for over 95 percent of Venezuela’s export earnings, so the collapse has been acutely felt in the South American OPEC nation. Barclays economist Alejandro Arreaza concluded in a recent report that a 2016 default in Venezuela “is becoming increasingly difficult to avoid.” Based on the cost of insuring Venezuelan sovereign debt, the markets are estimating an 80 percent chance of a default within the next year. Venezuela has a $2.2 billion payment due in February, which many analysts expect it to meet. But another $1 billion is due in October, and then a $2 billion payment in November. Related: Will OPEC Be Forced To Call An Emergency Meeting Soon? Despite early signs of a bottoming out, Moody’s Investors Service slashed its oil price forecast for 2016 to $33 per barrel, and also put 69 E&P companies in the U.S. under credit review for possible downgrade. Another round of credit downgrades could set off more turmoil in the E&P space, as many companies are already scrambling to find liquidity and keep the lights on. Debt and equity markets have already largely closed their doors on new finance for struggling drillers. 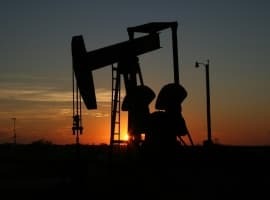 And even after considering a modest rebound in prices, “producing companies and the drillers and service companies that support them will experience rising financial stress with much lower cash flows,” Moody’s said in a statement. But, Moody’s also added several large oil companies to that list of possible credit downgrades, including Royal Dutch Shell (NYSE: RDS.A), Statoil (NYSE: STO), and Total (NYSE: TOT). “Even under a scenario with a modest recovery from current prices, producing companies will experience much lower cash flows. Today's review for downgrade considers that much weaker industry fundamentals have potential to warrant rating changes” for those companies, Moody’s wrote in a press release. According to Bloomberg, The four largest banks, which include Bank of America (NYSE: BAC), JP Morgan (NYSE: JPM), Citigroup (NYSE: C), and Wells Fargo (NYSE: WFC), have set aside $2.5 billion to address losses from bad energy loans. Schlumberger (NYSE: SLB) announced plans to cut 10,000 jobs this year, a more than 10 percent cut from its total staff of 95,000. The drilling services company said that the budgets of its customers were “exhausted” in the fourth quarter and that there is a “deepening financial crisis in the E&P industry.” Schlumberger is feeling the brunt of the cutbacks, and the company admitted that it is suffering from “unscheduled and abrupt activity cancellations.” Schlumberger reported a $1 billion loss for the fourth quarter. Low oil prices are hitting U.S. railroads hard, according to a WSJ report. In fact, current rail activity is so low that it is at levels that are normally associated with a recession. Union Pacific (NYSE: UNP) furloughed 3,900 workers in 2015 as rail traffic slowed. Canadian Pacific Railway (NYSE: CP) plans on cutting 1,000 jobs this year. Shipments for coal and oil have plunged, especially in the fourth quarter of 2015. For Canadian Pacific, its oil shipments fell by 17 percent in the fourth quarter, and shipments for metals, minerals and consumer-products dropped by 24 percent. The DC Circuit of the U.S. Court of Appeals shot down a request from a collection of utilities, coal miners, and pro-business groups to block the EPA’s Clean Power Plan. The plan is the cornerstone of President Obama’s efforts to address climate change, and it places limits on greenhouse gases from power plants. But the industry says it is illegal. They wanted the court to issue a stay on the rules while the case works itself through the court, but the DC Circuit denied the request on Thursday.